It’s not a secret that the Philippine economy heavily relies on Business Process Outsourcing (BPO) and Overseas Contract Work. However, this is ultimately not sustainable because these can easily be replaced by cheaper labor and technology. 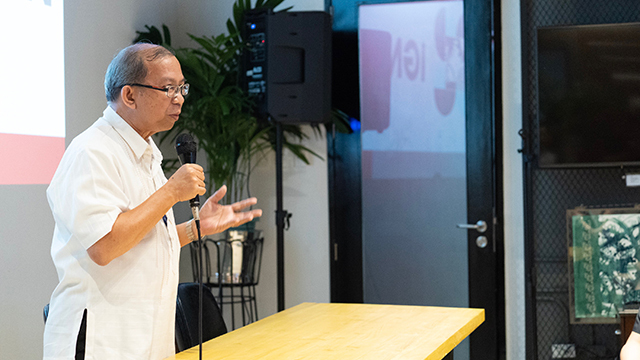 With the advent of artificial intelligence and other factors that are poised to disrupt the country’s business framework, four business partners are looking to find solutions to change the Philippine business landscape. The group of trailblazers is led by Juan Paolo Villonco, the country’s first Stanford Law School graduate. He is joined by Atticus King, a serial entrepreneur and angel investor; Mark Tiaoqui, who has worked for the Philippines’ largest law firms for 10 years; and Margo Flores, a real estate and finance expert for over 14 years. Despite their different backgrounds, they had the common goal of transforming the Philippines into an innovation-based economy by helping and enabling entrepreneurs through their journey. Together, they identified the pain points of entrepreneurs in the different aspects of their journey and came up with a unified and integrated solution—Ignition. 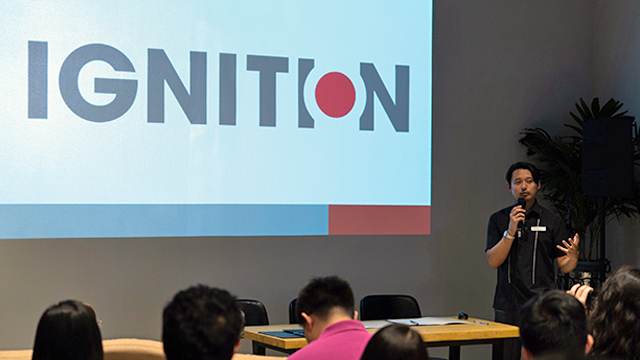 Ignition is the country’s first and only Venture Studio, which was inspired by the venture studio at Stanford University. Villonco, Ignition’s CEO, experienced this firsthand while he was a student and entrepreneur on campus. The Stanford Venture Studio provides office space, innovation programs and workshops, networking and matchmaking events to help the Stanford community and its entrepreneurs pursue their entrepreneurial ideas. “Ignition is a localized version of this. It took aspects of the Stanford Venture Studio and improved upon it,” Villonco said. Their mission is to democratize entrepreneurship and enable Filipinos to pursue their entrepreneurial ambitions by providing them with affordable office space solutions, mentorship, top corporate firms, quality financial and regulatory compliance advisory, digital marketing services and a community to collaborate with and learn from. “This allows Ignition’s community of entrepreneurs to focus on their business idea and give them a higher chance of success,” Villonco explained. Ignition has been operating since January 2017 and since then, it has helped over 70 SMEs establish and grow their businesses in the technology, finance, culinary arts, visual arts, real estate and education industries, just to name a few. Initially, however, Ignition experienced their share of challenges, including the Pinoys’ unfamiliarity with the concept and establishing the brand. “One primary issue we faced when we started was introducing the Venture Studio concept to the market. It was quite challenging since it was the very first in the Philippines; nobody knew or understood what it was,” Villonco told Entrepreneur Philippines. This however forced them to be precise and to refine the concept further. The four founders consulted VMV (Vision Mission Values) and Marketing coaches and focus groups to get feedback on their communication and marketing strategies. “Getting professional third-party feedback definitely helped us to craft our go to market strategy and implement it,” Villonco said. Unfortunately, like many construction and fit-out projects in the Philippines, Ignition was no different. According to Villonco, launching Ignition was delayed by more than three months because of construction issues. The negative effect of the delay was compounded by the increase in inventory of co-working spaces in the BGC area and therefore, they had a very difficult time attracting office space clients. “We had to lower prices and expectations on revenue. Fortunately, entrepreneurs recognized the quality and tight-knit community and we began to establish and we gradually filled the space,” he added. Aside from business owners, the founders realized that they needed to target scientists as well. Although scientists in other countries such as the US, Japan and Europe are very entrepreneurial, Philippine scientists are not usually associated with entrepreneurship, according to Villonco. “They are usually bogged down by business tasks such as regulatory compliance, accounting, marketing, fundraising, networking that, although essential, are not interesting to them,” he added. This is why Ignition has tailor-fit business solutions for the scientific community highlighting their strengths and complementing their weaknesses. 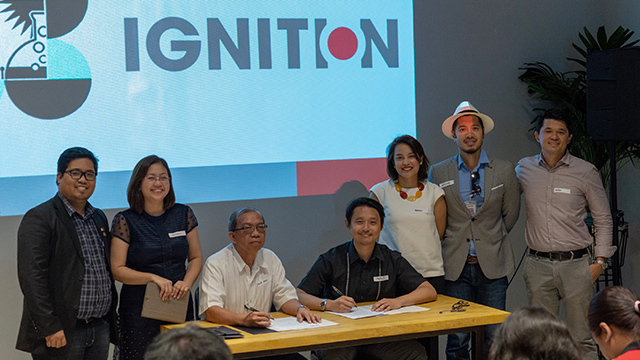 It has established a partnership with the Department of Science and Technology (DOST) to create a special program that provides free high-quality business support consultancy and access to Ignition’s global pool of highly experienced and trained professionals in the fields of finance, law and marketing. “Ignition offers special discounted rates and payment terms for high-quality business support services to members of the Filipino scientific community,” Villonco said. 1. Match. To build a marketplace for innovation where entrepreneurs are matched with potential investors, strategic partners and talent. 3. Market and Promote. To develop marketing campaigns (digital and traditional), content and strategies for entrepreneurs and their products targeted towards their potential clients, investors and strategic partners. “If we do not transform the Philippines into an innovation-based economy and fail to transition our workforce, we will be left behind,” Villonco said on empowering local scientists. Villonco and his team believes that they need to service scientists and technopreneurs, too, because they can become an integral part of the economy. “In the past few years, we have consulted with the Filipino scientific community and academe and found out about their limited career options. We wanted to empower them and enable those who have entrepreneurial ambitions to pursue them. On average, Filipinos interested in technology do not have the skills or the access to quality business support services. Ignition compliments them seamlessly,” Villonco said. What makes Ignition’s platform unique is the ability and willingness of the founders and investors to take risks along with their clients. They bring top level business advisory services to the MSME market and at times, provide services for equity. “Since we are such a young organization, we do not look too far into the future. We intend to refine our systems, increase our services and attract more talent into the organization,” he added. However, they are also working on improving the investor climate for startups in the Philippines. They are developing the ability to fund or deploy capital on more flexible and less onerous terms for the entrepreneur than what is available in the market today. “Our primary business goal is to increase our community and ecosystem of entrepreneurs in the Philippines,” he said.